Mark Gibbons founded 50 North Yachts with a vision to create a new standard of excellence for the luxury yacht industry. By building a unrivaled team, utilizing technology in new ways, and offering comprehensive services, 50 North is raising the bar for the industry. Shortly after the formation of 50 North, the company acquired luxury yacht dealership Fairline California, where Mark served as Sales Manager. A Certified Professional Yacht Broker (CPYB) licensed and bonded in the states of California and Florida, Mark has been in the luxury yacht industry for over a decade, helping dozens of veteran yachtsmen and novices alike find vessels that match their budget and lifestyle needs, and bringing a wealth of experience, passion, and fresh vision to the company. 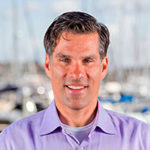 Mark has had the opportunity to hone his skills working for some of the world’s largest and most prominent brokerage houses and boat manufacturers, such as Northrop & Johnson Yacht & Ship and MarineMax, and has represented international brokerage transactions as well as some of the most renowned shipyards in the world, including Fairline, Bertram, Feretti, Pershing, Riva, Mochi Craft, Azimut, Sealine, Sea Ray, Jeanneau Power and now Monte Carlo Yachts. Mark’s love of boating brought him into the industry after a successful sales and marketing career in technology. He earned awards and accolades for his work in software sales and marketing in the high-tech industry, where he helped to launch new products, as well as building and managing successful sales teams. Mark’s passion for his job is fueled by his client’s passion and the fervor of other boat enthusiasts he has been fortunate enough to meet throughout his career. He brings that passion to 50 North and infuses it in every client aspect of operations. 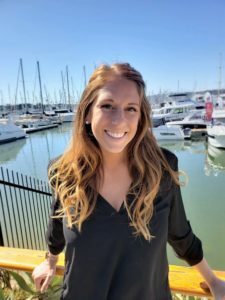 A Southern California native, Tracey grew up on the waters of Marina Del Rey, Catalina Island, Castaic Lake and Mission Bay fishing and water-skiing with her father on their 14′ Bayliner Capri. With her natural affinity for being on the water and fond memories of boating it seemed natural to put those two together. In 2000 she started her own business doing bright work in and around Shelter Island and you’ve likely seen her make many of the boats of the San Diego Yacht Club shine. Over the years watching her clients sell and buy the very boats she repaired and maintained it became clear they would benefit from her unique knowledge of their boats during a purchase or sales event. In 2014, Tracey incorporated a sales license in to her business to better serve the boating community. A fixture of Shelter Island responsible for some of the best bright work in town, she knows boats, likely yours or the one you are looking for. Outside of work, Tracey can be found volunteering and fundraising for The Leukemia and Lymphoma Society, the Challenged Athletes Foundation and being a dedicated and loving mother to her 14 year old son. Tracey is a unique asset to the boating community with a genuine pleasure of being on the water and extensive experience with the nuts and bolts of boat maintenance and ownership. 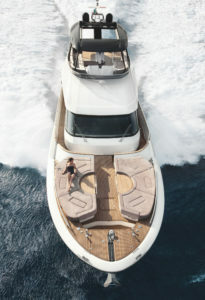 She will make your boat purchase or sales experience unlike any other. Call Tracey today to list or find the boat of your dreams. Make the call, start an adventure and create new memories on the water. Captain Rutherford, a native of Queensland, Australia, was introduced to marine life at a very early age, following in his father’s footsteps to operate daily tours of the lower islands of the Great Barrier Reef. At the beginning of his career, Rutherford spent 10 years servicing super-yachts in various capacities – starting as deckhand and working his way through every position, eventually rising to captain. Captain Rutherford settled in San Diego in 2007 where he was responsible for overseeing a variety of jobs from simple bottom paint jobs on 30’ vessels to major refits on 250’ superyachts as a Project Manager at one of San Diego’s preeminent shipyards. Lianne Houde found her love of the water on the lakes of New Hampshire’s White Mountains, where throughout her childhood she spent time with friends and family boating and kayaking throughout the summer. 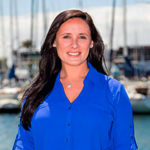 She gained professional experience in the industry working in various roles at marinas in Newport, Rhode Island before moving to San Diego to further solidify her career as a yacht-marketing expert. For the past 7 years, Lianne was a major contributor, enabling revenue growth and expansion in her former position with roles encompassing marketing, operations, event planning, sponsorship coordination, logistics and a myriad of other responsibilities. With a Bachelor of Science in business and marketing, a wide range of experience, Lianne will contribute to the overall marketing, communications, and coordination of all aspects of 50 North’s business operations. Tony’s passion for boating began over 30 years ago in the Philippines. Growing up, he sailed catamarans and raced speed boats which blossomed into his love of the water and boats. His service career began with the Mandarin Oriental Hotels where he developed a passion for service excellence that has followed him throughout his career. He is dedicated to providing the highest standard of service during the and long after the sale. Tony brings a wealth of knowledge, passion and experience to 50 North. 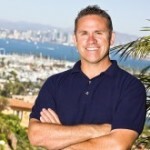 Prior to joining 50 North, Tony founded and operated Cardel Yachts out of Marina del Rey. After building the company into the premier brokerage house in the largest marina in North America his passion led him to 50 North Yachts. After a relationship that began many years ago, Tony and Mark decided to merge the two companies. 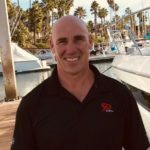 Tony now runs operations for 50 North in the LA Area with a focus on exclusively representing Monte Carlo Yachts, Jeanneau Outboard Power boats and serving the brokerage community. 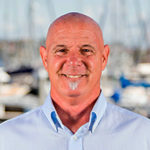 Tony has spent his career specializing in Luxury Yachts and aligned himself with quality brands such as Rodman, Fairline, Sunseeker, Monte Carlo Yachts, Jeanneau and Sea Ray just to name a few. The merger of these two companies and the convergence of ideas and vision for the future of the industry provides our clients with unmatched service, support and experience. Tony’s reputation for his “concierge” approach with every client assures the best possible experience. Tony actively works with a global client base, each having unique wants and needs. He takes great pride in building genuine relationships with each client to insure the highest level of service and satisfaction. Assisting in all aspects of the transaction Insures a smooth transition of ownership. Tony is highly regarded by both his peers and clients for his integrity, knowledge, experience and ability to make buyers and sellers happy by exceeding all their requirements and matching them with their dream boat. After leaving the Midwest Ron began what became a 30 year career in medical sales. As a medical device rep, he grew his territory from zero into a multi-million dollar business. He advanced quickly into sales management of the largest distributorship in a three state region, ultimately taking over the distributorship in an acquisition. Accomplishing his goals in the medical sales industry allowed him to returned to his childhood passion and purchased a 62′ Sunseeker from 50 North Yachts. “I met Mark while working on the purchase of my boat. We immediately hit it off. I was so impressed with what he was doing with 50 North, specifically his approach to working with his customers. While we came from different industries our approach to the client was exactly the same. It’s not about the sales or the numbers; it’s about the client and providing a level of service and knowledge second to none. When 50 North acquired the exclusive distribution for Monte Carlo yachts for the West Coast, I knew this was an opportunity I could not pass up. I reached out to Mark and presented him with the idea of working together. Three months later, I was taking my Yacht Brokers exam in California. 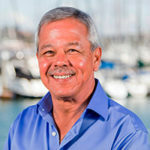 Bruce has spent over 30 years serving the boating community in Southern California. With his extensive background in yacht service and commissioning, as 50 North’s Service Manager Bruce brings a level of service that is unmatched. Bruce has received extensive training through the American Boat and Yacht Council (ABYC) and National Marine Electronics Association (NMEA). The level of work and service offered by 50 North under Bruce’s experienced management is sure to satisfy the most discerning boat owner. Along with factory and extensive vendor relations, all work will be done correctly and in a timely manner, from the largest to the smallest task. Bruce will go out of his way to make himself available for all your boating needs.